Guide to Finding Public Pay Resources in a Skilled Nursing Facility or Assisted Living Community. Will Medicare pay for a Nursing Home or Assisted Living? 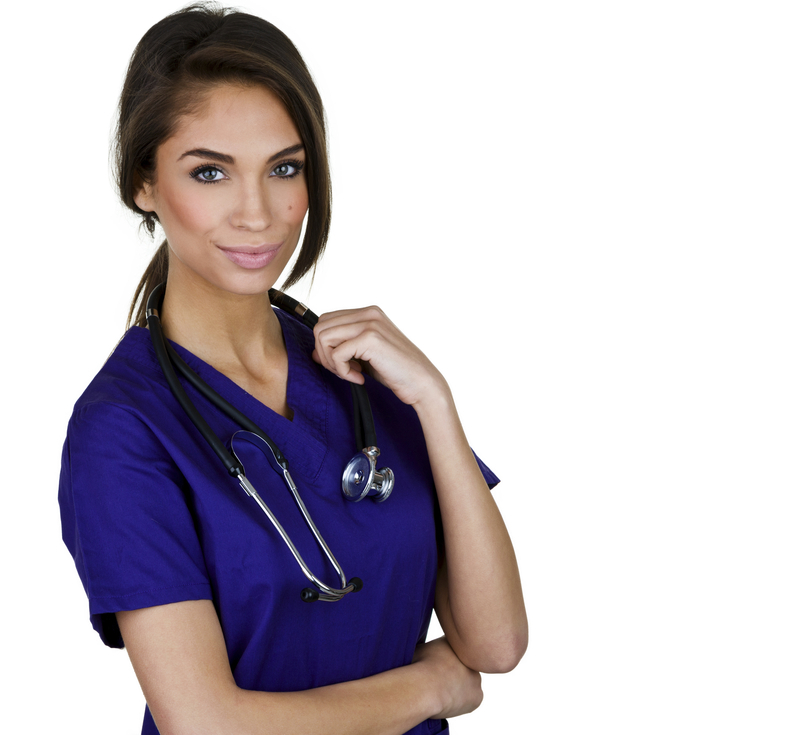 Selecting a Skilled Nursing Facility. 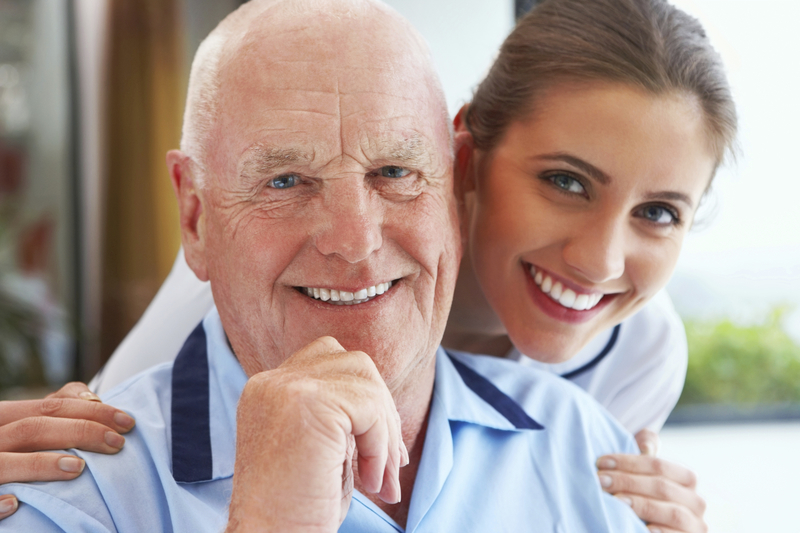 Selecting Assisted Living or Home Care Services through a Medicaid (Medi-Cal) Waiver Program. Depending on your State of residence, public pay resources such as Medicaid (Medi-Cal) are available in skilled nursing facilities, some assisted living communities and through home care agencies. After a major health event requiring hospitalization, if there is a Medi-Cal need Medicare may pay for a short-term stay (typically between 20 and 100 days) at a skilled nursing facility that provides physical, occupational, speech or respiratory therapy. Rehabilitation therapy can play a critical role in the senior’s recovery from an illness, stroke, surgery or other significant health event by helping the senior regain strength, confidence and independence. Once rehabilitation is complete, Medicare does not pay for long-term or custodial nursing home care. For those with limited financial resources, Medicaid (Medi-Cal) can assist. For individuals that wish to receive care in a setting other than a skilled nursing facility, Medicaid (Medi-Cal) programs may be able to assist with care at home or in an assisted living community. Choosing a skilled nursing facility or assisted living community is an important decision, and, unfortunately, many families struggle with understanding the public pay resources available. This guide is designed to help you simplify your search and provide you with the necessary tool to find appropriate public pay resources in your area. Federal law prevents us from referring families directly to senior housing communities if the family desires to use public funds like Medicaid (Medi-Cal) for housing costs. In order to comply with State and federal laws we have compiled tools to assist families with conducting their own independent search for their public funding needs. Medicare is our country’s health insurance program for people age 65 or older. Certain people younger than age 65 may also qualify for Medicare. The program helps with the cost of health care, but it does not cover all Medi-Cal expenses or the cost of most long-term care, such as nursing homes. The Centers for Medicare and Medicaid (Medi-Cal) Services is the agency in charge of the Medicare program. You apply for Medicare at the Social Security office. Hospital insurance (Part A) helps pay for inpatient care in a hospital or skilled nursing facility (following a hospital stay), and/or some home health care and hospice care. Medi-Cal insurance (Part B) helps pay for doctors’ services and many other Medi-Cal services and supplies that are not covered by hospital insurance. Each State operates a Medicaid (Medi-Cal) program that provides health coverage for lower-income people, including the elderly and people with disabilities. Medicaid (Medi-Cal) programs and eligibility rules vary by State, so you will need to check with your state Medicaid (Medi-Cal) office for information. To learn more about your State Medicaid (Medi-Cal) program and other options available to you, visit www.finder.healthcare.gov or www.medicaid.gov. Eligibility: People with disabilities are eligible in every State. In some States, people with disabilities qualify automatically if they get Supplemental Security Income (SSI) benefits. In other States, you may qualify depending on your income and resources (financial assets). “Buy-ins”. Some States also have “buy-in” programs that allow people with disabilities with incomes above regular Medicaid (Medi-Cal) limits to enroll in the Medicaid (Medi-Cal) program. The Affordable Care Act Expands Help for elderly and disabled people in 2014: The Affordable Care Act expansion will help low-income adults who have disabilities but don’t meet the disability requirements of the SSI program. The expansion will also help those whose income is above their State’s current eligibility levels. The Medicaid (Medi-Cal) program continues to move toward providing more community-based care options as an alternative to nursing homes. There will be more opportunities for people of all ages who have a disability to get help with daily activities while remaining in their homes. Inpatient and outpatient hospital services not covered by Medicare. Long-term care services and supports including nursing home care and nursing home alternatives. Home and community-based services (HCBS) provide opportunities for Medicaid (Medi-Cal) beneficiaries to receive services in their own home or in assisted living communities. These programs serve a variety of targeted population groups, such as people with mental illnesses, intellectual disabilities, and/or physical disabilities, and the elderly. The “Money Follows the Person” Rebalancing Demonstration Program (MFP) helps States rebalance their long-term care systems to transition people with Medicaid (Medi-Cal) from institutions to home and community based services. Forty-three States and the District of Columbia have implemented MFP Programs. From spring 2008 through December 2010, nearly 12,000 people have transitioned back into the community through MFP Programs. The Affordable Care Act of 2010 strengthens and expands the “Money Follows the Person” Program to more States. People that live in an institution for more than 90 consecutive days are eligible for the Money Follows the Person program. (Exception: the number of days a person was living in an institution for the sole purpose of getting short-term rehabilitation services reimbursed by Medicare, don’t count toward this 90-day period). Increase the use of home and community-based services (HCBS) and reduce the use of institutionally-based services. Eliminate barriers in State Law, State Medicaid (Medi-Cal) Plans, and State Budgets that restrict the use of Medicaid (Medi-Cal) funds to let people get long-term care in the settings of their choice. Put procedures in place to provide quality assurance and improvement of HCBS. Medicare will pay for short-term rehabilitation in a Medicare-certified nursing home (up to 100 days per calendar year) for those who qualify. Medicare does not pay for long-term or custodial nursing home-care. For those with limited financial resources, Medicaid (Medi-Cal) may be able to assist. Some nursing homes provide both short-term rehabilitation and long-term care while others specialize in only one or the other. Medicare never pays for assisted living. 100% of the first 20 days in a Medicare approved skilled nursing facility after a three night minimum inpatient hospitalization (Medicare must approve). 80% of days 21-100 in a Medicare approved skilled nursing facility (Medicare must approve). 20% co-pay for days 21-100. Any care after day 100. Not all three-night hospital stays automatically qualify for inpatient rehabilitation, and you are not guaranteed a full 100 days even if you do qualify. Talk to a Doctor, social worker, discharge planner, or case manager at the hospital to help determine if rehabilitation is the next best step for your loved one. If you loved one has other health insurance, such as Blue Cross or Aetna, you will need to contact the insurer directly to determine the amount of skilled nursing coverage included in the policy. If you are having difficulties determining coverage, ask the social worker, discharge planner, or case manager at the hospital to assist you. If you are unable to pay the Medicare co-pay for days 21-100, or pay for long-term care in the skilled nursing facility after rehabilitation is complete, Medicaid (Medi-Cal) may be able to assist you. Medicare never pays for assisted living, however some States do participate in Medicaid (Medi-Cal) waiver programs like Home & Community-Based Services, and Money that Follows the Person, which pay for long term care in assisted living or at home. When reviewing the Medicare website it is important to know that nursing homes seldom receive 5 stars in every category. If you are concerned about a nursing home’s rating, click the name of the community to learn more about the listed rating, such as the level of harm and how many Residents were affected by a violation. Still concerned about a past violation? Take notes and ask the Admissions Director when you tour. What have they done to correct the violation? How will they prevent this from happening again in the future? Ratings measure whether the nursing home meets certain “minimum” standards. If a nursing home has no deficiencies, it means that it has met the minimum-standards at the time of inspection by State officials. Inspections do not identify nursing homes that give outstanding care. Keep in mind that the quality of a nursing home may change drastically in a short period of time. That is why it is always important to tour before making a final decision. Select up to six locations that may be a good match for your loved one. Jot down their information on the Long-Term Care Options Worksheet provided with this guide. Call the six locations you selected and ask for the Admissions Director. If your loved one is in the hospital let the Admissions Director know that you are searching for a skilled nursing facility that provides short-term Medicare Rehab. If your loved one is not hospitalized let the Admissions Director know you are searching for a long-term care bed. If hospitalized, be prepared to provide the Admissions Director with the name of the hospital your loved one is in, as well as the name of the social worker or discharge planner you may be working with at the hospital. Ask if they have any openings or anticipate any openings soon. Ask if they can evaluate your loved one to determine if the skilled nursing facility can provide the necessary care required. If they have an opening, schedule a tour of the skilled nursing facility right away! If your loved one is in the hospital notify the social worker, discharge planner, or case manager at the hospital of any skilled nursing facilities you are considering and the dates and times you are scheduled to tour. Ask to have all relevant paperwork faxed to these skilled nursing facilities, including a list of diagnoses, doctor’s notes, fact sheet, and any other paperwork required by your State (the social worker, discharge planner, or case manager will know what paperwork to send). If your loved one is not in the hospital you will need to schedule a doctor’s appointment to complete the necessary paperwork, including a TB test, history and physical, list of medications, and any specific State required documents. The Admissions Director at the skilled nursing facility can provide you a copy of all necessary paperwork. The Admissions Director will be able to assist you with applying for Medicaid (Medi-Cal) or will be able to provide you with the local contact information for the Medicaid (Medi-Cal) office nearest you. Involve other family members in the decision process. If siblings or other family members are able to assist, be sure to enlist their help in the decision making process and notify them of the skilled nursing facilities you are considering. You may also send this guide so the rest of the family can understand the process you are going through. If your loved one is well enough, be sure to ask for their input. You may even want to bring a lap top computer or camera to the hospital or their home to show them the skilled nursing facilities you have visited. Step 6: Tour, tour, tour! Visit the skilled nursing facilities that have openings and take a tour. A touring checklist is available on the Medicare website, including what to look for and questions to ask when touring. If your loved one is not in the hospital you will need to contact the skilled nursing facility directly to find out the results of the Medi-Cal evaluation. Have they heard back from the two skilled nursing facilities you have selected regarding the outcome of the Medi-Cal evaluation you requested when you initially contacted the facility? Can either of the two skilled nursing facilities accept your loved one? If they are able to accept them when do they anticipate transferring them to the skilled nursing facility? If they are unable to meet their needs did they indicate why? Ask if their social worker or discharge planner needs anything else from you to ensure a smooth transition from the hospital to the skilled nursing facility. If your loved one is hospitalized the hospital social worker or discharge planner will arrange transportation to the skilled nursing facility. If your loved one is at home and for medical reasons cannot travel in a car to the skilled nursing facility ask the Admissions Director for references for non-emergency ambulance services. If you have power of attorney, or your loved one is unable to sign the admission paperwork, you will need to make arrangements to sign the documents before or at the time of arrival. Every skilled nursing facility that provides services under Medicare or Medicaid (Medi-Cal) must complete an initial assessment and an initial Care Plan Conference. A Care Plan Conference is a meeting typically attended by the nurse, social worker, therapists, activity director, dietician, and other key members of the staff responsible for the care of your loved one. It is important that the patient (if able) and a family member also participate in the Care Plan Conference. During this conference you will learn about the staff’s Medi-Cal and non-Medi-Cal concerns and goals for rehabilitation. The staff will work with you to outline a care plan for your loved one and coordinate rehabilitation goals, including the length of the stay. These goals may change at a subsequent Care Plan Conference, dependent on your loved one’s progression in therapy. Request a list of all Medicaid (Medi-Cal) programs in your State that your loved one may be eligible for. Ask them the process for applying for Medicaid (Medi-Cal)? Can they assign a case worker to assist you with the application process? Is there a waiting list? If so, how long is the waiting list? Are they currently adding individuals to the waiting list? What are the income and asset qualifications for Medicaid Waiver Programs? Are there any programs that would provide services in your loved one’s home? Are there any programs that would provide services in assisted living? Ask them to mail you a list of providers that participate in the Waiver Program you are interested in or provide you a link to the information on-line. If your loved one is currently in a skilled nursing facility under Medicaid ask if there are any programs available under Money Follows the Person program. Review the list or website provided by the Medicaid office. Select up to six locations that may be a good match for your loved one. Jot down their information on the Long-Term Options Worksheet in this packet. Call the six locations you selected and ask for the Admissions/Marketing Director. Let them know which Medicaid (Medi-Cal) programs you are considering. Ask if they can evaluate your loved one to determine if the community can provide the necessary care. If they have an opening, schedule a tour of the community right away! If your loved one is in the hospital notify the social worker, discharge planner, or case manager at the hospital of any communities or service providers you are considering and the dates and times you are scheduled to tour. Ask to have all relevant paperwork faxed to these providers, including a list of diagnoses, doctor’s notes, face sheet, and any other paperwork required by your State (the social worker, discharge planner, or case manager will know what paperwork to send). If your loved one is not in the hospital you will need to schedule a doctor’s appointment to complete the necessary paperwork. The Admissions/Marketing Director at the community can provide you a copy of all necessary paperwork. Involve other family members in the decision process. If siblings or other family members are able to assist, be sure to enlist their help in the decision making process and notify them of the communities or service providers you are considering. You may also want to send this guide so the rest of the family can understand the process you are going through. If your loved one is well enough, be sure to ask for their input. You may even want to bring a laptop computer or camera to the hospital or their home to show them the communities or service providers you have visited. Step 7: Tour, tour, tour! Visit the communities that have openings and take a tour. If your loved one is in the hospital call the social worker or discharge planner at the hospital and let him or her know your top two choices. Have they heard back from the two communities or service providers you have selected regarding the outcome of the Medi-Cal evaluation you requested? Can either of the two accept your loved one? If they are able to accept them when is the anticipated discharge from the hospital? Ask if the social worker or discharge planner needs anything else from you to ensure a smooth transition from the hospital to the community or to home if you will be utilizing a service provider at home. If your loved one is not in the hospital you will need to contact the community or service provider directly to find out the results of the Medi-Cal evaluation. All paperwork given to you from the hospital or the admission paperwork filled out by the doctor. A copy of all legal paperwork including Power of Attorney, living will, and Do Not Resuscitate (DNR) orders. of Elder Affairs, or local Social Security Agency. Step 3: Select up to six locations for the Long-Term Care Options Worksheet. schedule a tour, and request a Medi-Cal evaluation. Step 5: Gather all of the necessary paperwork for admission. Step 6: Communicate with other family members and the potential resident. Step 7: Tour, tour, tour! Visit each location and ask questions. Step 9: Sign the admission paperwork. Administration on Aging (www.aoa.gov): The “Elders and Families” section of the AoA is particularly useful for accessing links to information regarding State and local services for older adults and their families; public and private benefits programs; Medicare, and long-term planning. Eldercare.gov (www.eldercare.gov): This helpful website offers fact sheets, booklets and links to Federal websites. U.S. Department of Housing and Urban Development (www.hud.gov/): Here you can find information on affordable housing for seniors and rental assistance, among other things. The National Council on Aging (www.ncoa.org): Provides a list of Federal and State assistance programs. Disability.gov (www.disabilityinfo.gov): A comprehensive guide on disability programs and services, including Social Security benefits and affordable, accessible housing. The website provides links to more than 14,000 resources from Federal, State and local government agencies; academic institutions; and nonprofit organizations. Mental illness (www.nami.org): The National Alliance on Mental Illness; this website has a link that can direct to your State NAMI office and website which provides additional support for families.